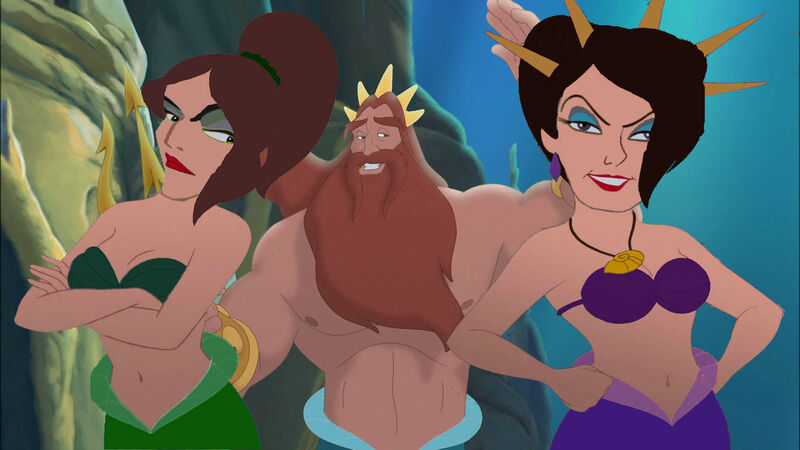 King Triton with his sisters, Ursula and Morgana. . HD Wallpaper and background images in the Disney Princess club tagged: king triton the little mermaid ursula morgana disney. Wow! Great job. I'd love to see a Little Mermaid prequel about this.